Had many happy evenings at the Pink Pony, as it was known throughout the end of the 80s and early 90s when owned by Tony. The place was more like a social club than a pub, you’d always know someone in there. It’s never been the same since! My grandmother’s parents were the publicans there in the 30s/40s. She was quite young when they ran it but would tell us stories about feeding the funeral horses that were stabled round the back of the pub. 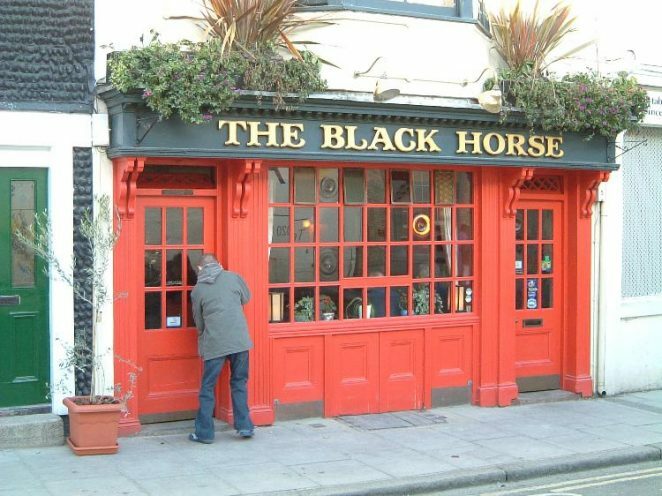 Hence the name The Black Horse. 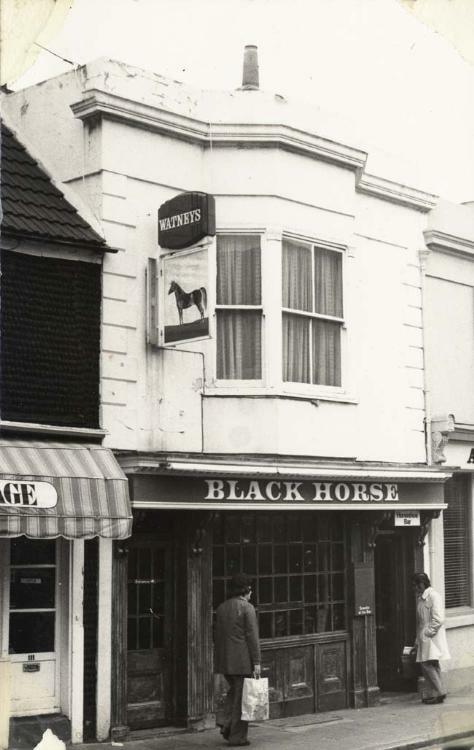 I worked part-time at the Black Horse from around ’72 -’74. The couple who ran the place were Mike and Pat, both wonderful but formidable characters, necessary for a town centre pub! There were still many locals who frequented the pub, but a big part of the business was during concerts held at the Dome.The “ushers” as they were known, would come over for a swift half while the concerts were on. I was allowed to pop over and have a five minute or so look at any act that took my interest. I had the great privilege of watching David Bowie on his Aladdin Sane at the Dome, if only for five minutes!